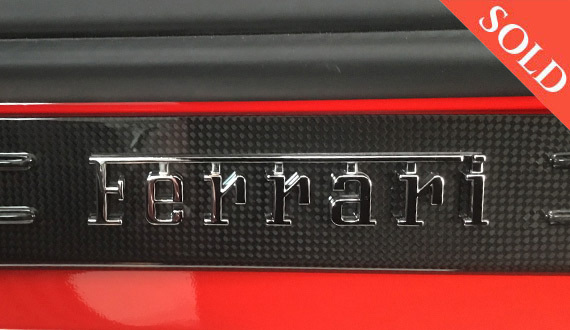 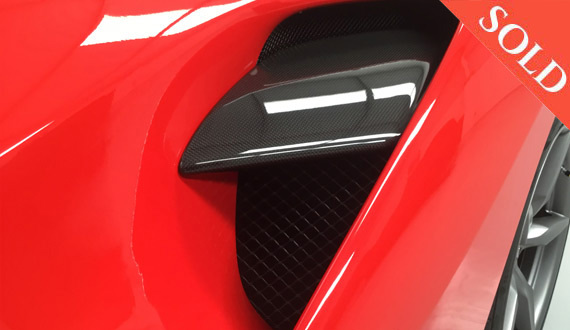 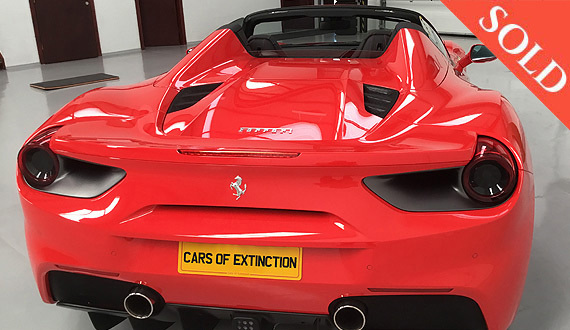 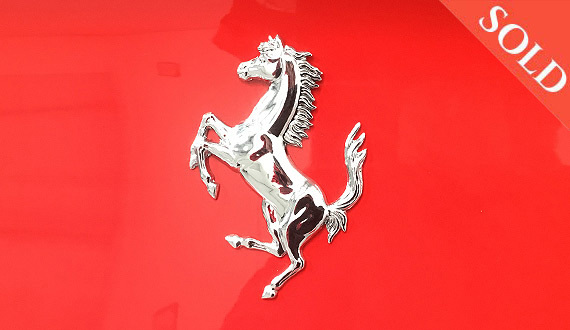 NEW - UK Ferrari 488 Spider ‘17’ Plate. 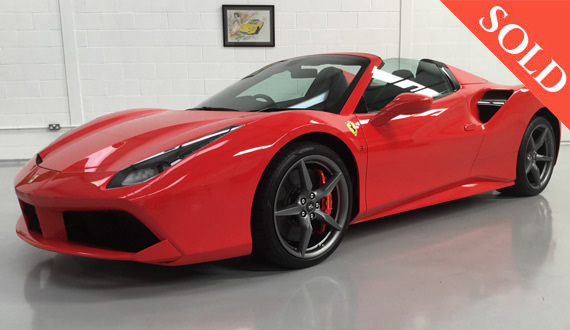 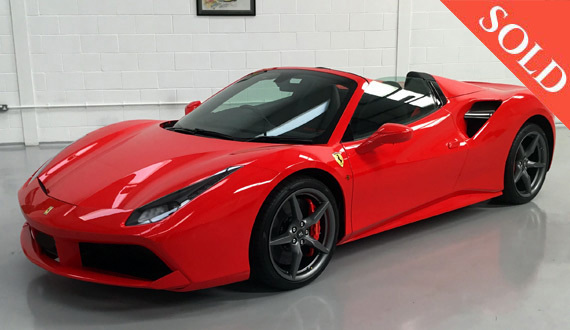 A very scarce new ‘488 Spider’ UK RHD car, with great specification - 2017 (17 Reg). 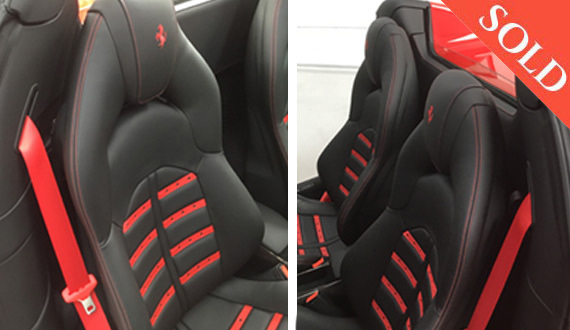 Finished in Rosso Scuderia, with Daytona seats in Nero with Red inserts, fully electric and complimented by red belts. 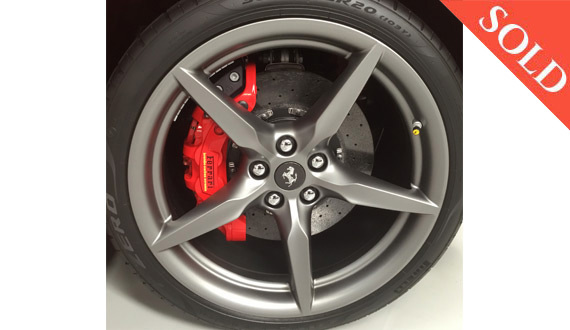 Plus, this car is fitted with (the essential) Front Suspension Lifting System. 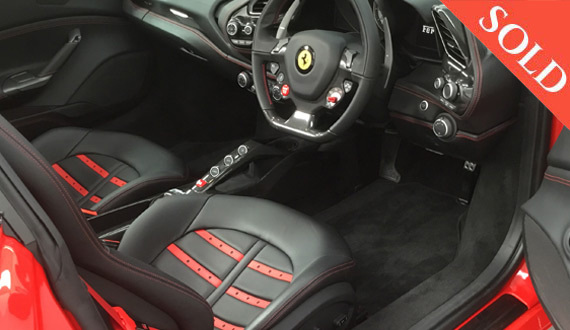 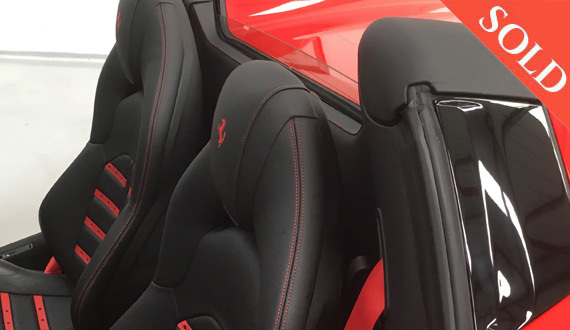 Also, with the Red prancing horse stitched to the headrests, red belts, red stitching to the Daytona leather upholstery. 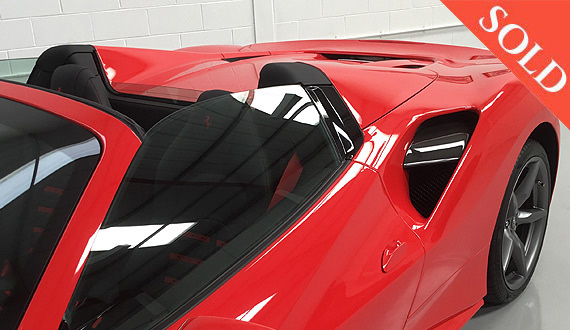 Ferrari Wing Shields, rear/front parking system and camera and with carbon fibre wheel centres to compliment the Grigio Corsa rims. 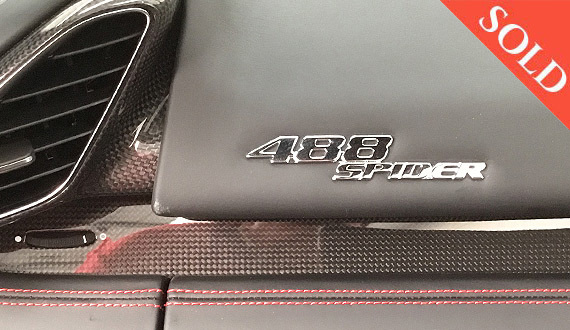 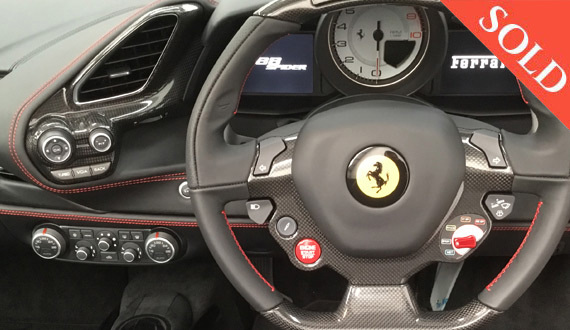 CARBON FIBRE fittings include rear haunch air splitter, kick sills, central tunnel & bridge, dash & steering wheel with LED lights, complimented behind with a white Rev counter. 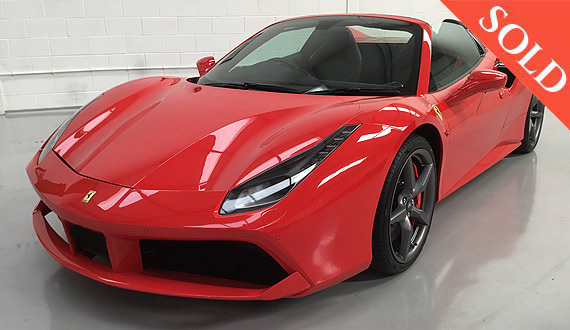 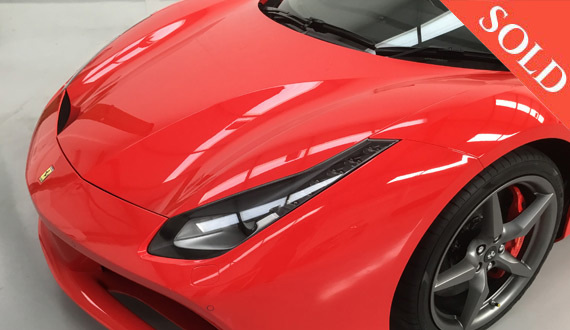 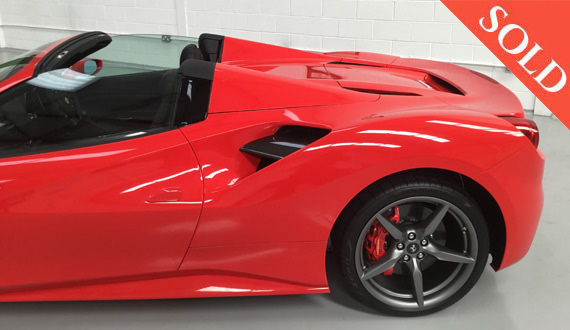 Finished to the optimum spec’ also including adaptive headlights, Scuderia brake callipers, the HELE Emission system and Ferrari 7 years servicing, make this a special Ferrari 488 Spider, sporting its £35,000 worth of options that’s available now...!